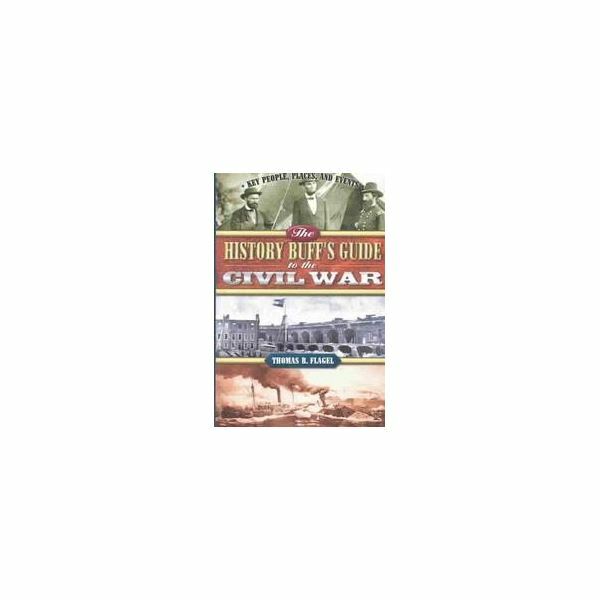 According to Thomas R. Flagel’s The History Buff’s Guide to the Civil War, “A Civil War soldier marching into battle stood a one-in-thirty chance of dying. If he stepped into one of the 150 stockades, warehouses, or forts serving as prison camps during the war, his odds fell to one in seven (254)." This was true whether the soldier was a Yankee or a Confederate. Again, according to Flagel, “More than 211,000 Union and 265,000 Confederate servicemen were captured, or about one out of every eight men who served." According to National Geographic News, estimates are that 56,000 died in the neglectful, squalid conditions in the POW compounds of each side. This lesson plan will encourage students to examine the problems confronted by both North and South in warehousing these unprecedented numbers of prisoners. 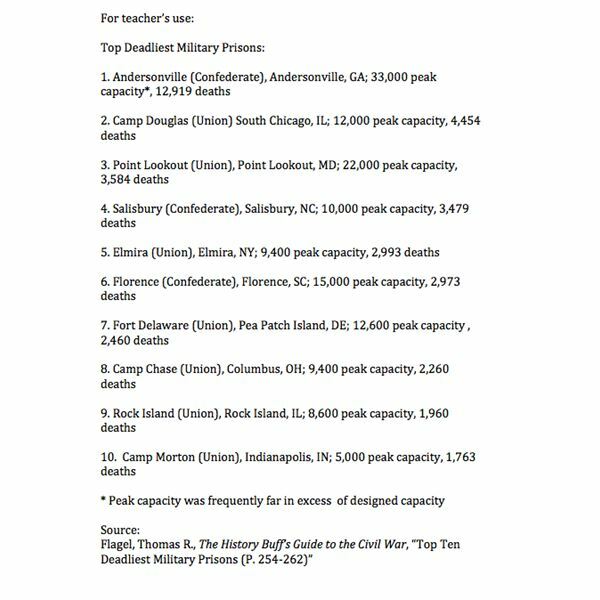 Students will also gather facts and statistics on at least ten of the most notorious and deadliest military prisons of the Civil War. Conduct independent historical research in the library and on the internet on a narrowly focused subject. 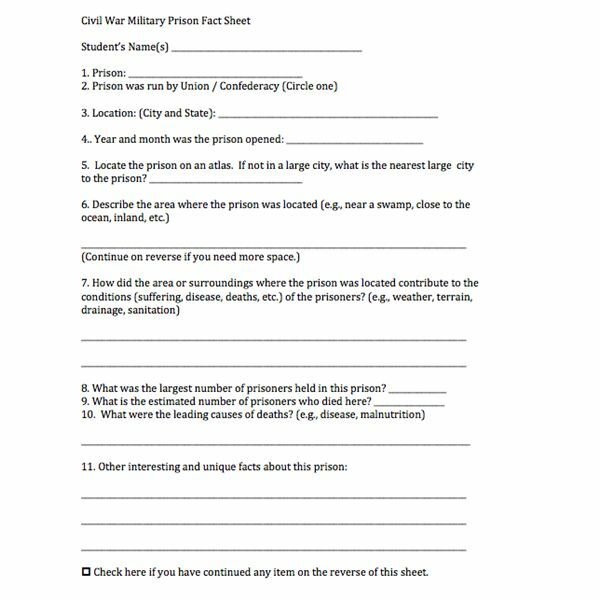 Collaborate with other students to complete a handout worksheet with facts and statistics on their assigned Civil War prison. Understand why the conditions in Civil War Prison camps were so miserable and deadly. *Note: According to Flagel, “Carelessness, rather than conspiracy" appears to be at the root of the horrible conditions in all Civil War camps. Further, “[n]either side was prepared nor apparently very motivated to care for hordes of captured foes…" The teacher may wish to withhold this observation from the students until the project is completed to see what moral judgments student groups make on this issue. This issue could be the focus of a follow-on essay assignment. National Geographic News: “U.S. 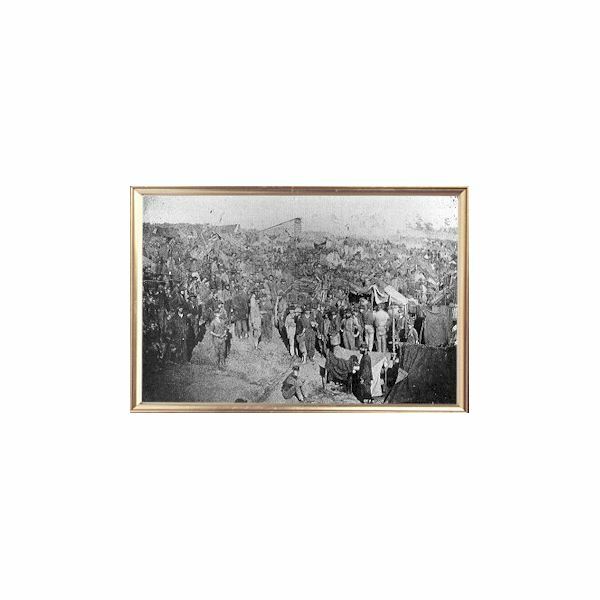 Civil War Prison Camps Claimed Thousands"
Flagel, Thomas R., The History Buff’s Guide to the Civil War, “Top Ten Deadliest Military Prisons (P. 254-262)"
Breakdown of the prisoner exchange program that eventually led to overcrowding. Total number of prisoners captured. Total number of prisoners who died. The research, presentation and discussion can be the basis for an essay assignment. Possible focus of the essay could as discussed above; i.e., whose fault was it that such conditions were allowed? Were both sides cruel to each other’s prisoners on purpose? Return the graded worksheets to the student to serve as a basis or the essay assignment.